The TradeRev mobile app lets dealers bid for trade-in and commercial consignment inventory before the vehicles arrive at physical auction sites, using their smartphones, tablets or desktops. KAR Auction Services Inc. has acquired full ownership of the Canada-based TradeRev technology that allows dealers to electronically bid on and purchase used vehicles before they reach physical auctions. KAR, which owns 250 whole and salvage vehicle auctions under its ADESA and Insurance Auto Auction units, had purchased half of TradeRev's parent company, Nth Generation Software, in 2014. It bought the remaining half Tuesday for $50 million in cash and an additional $75 million over the next four years contingent on TradeRev performance. "The acquisition of TradeRev ensures that KAR will maintain its strong leadership position in the mobile app and online auction space," KAR CEO Jim Hallett said in a statement. "By injecting TradeRev with the full force of KAR's technology, data, financing and service offerings, we plan to accelerate growth across North America and around the globe." 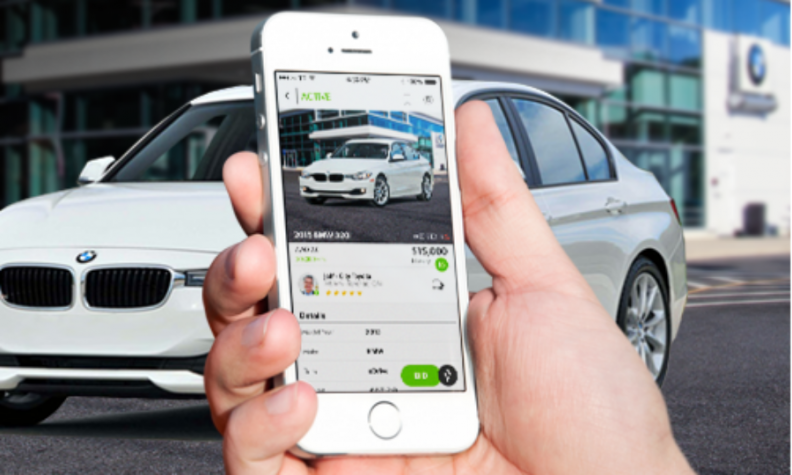 The TradeRev mobile app lets dealers bid for trade-in and commercial consignment inventory before the vehicles arrive at physical auction sites, using their smartphones, tablets or desktops. It mimics the physical auction setting, so dealers can participate in live, one-hour online sessions. Winning TradeRev bidders can complete the transaction within the app, including optional inspection, title and arbitration services and financing and transportation through KAR's Automotive Finance Corp. and CarsArrive brands. TradeRev, which is based in the Toronto region, will be led by President Becca Polak, who for the past 10 years has been KAR's executive vice president, general counsel and corporate secretary. She has also been promoted to KAR's chief legal counsel and secretary. In the statement, Polak said she'll focus on expanding TradeRev's footprint beyond its current presence in the U.S., Canada and the U.K.
"Over the next several months, we'll continue expanding into new markets and begin leveraging KAR's data analytical capabilities to enhance the TradeRev buying and selling experience," she said in a statement. The four co-founders who launched TradeRev in 2009 will remain in executive positions. Former TradeRev CEO Mark Endras remains a member of KAR's senior leadership team reporting to Polak, but also becomes KAR chief innovation officer reporting to Chief Information Officer Tom Fisher and will establish TradeRev innovation labs in Toronto, Chicago and KAR's hometown of Carmel, Ind.